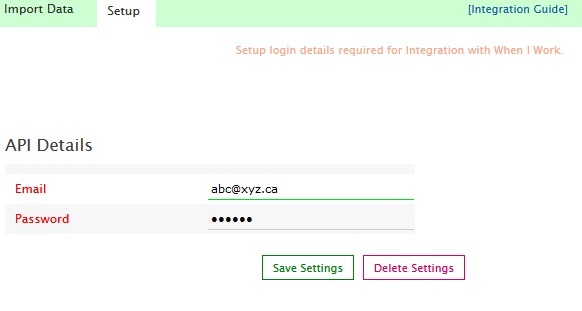 Enter When I Work login details. Load When I Work page in SimplePay, and go to Import Data Tab. 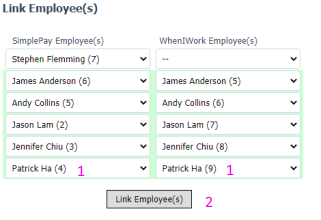 Under Manage Employees panel, number of employees created in When I Work will be listed which are not imported in SimplePay. 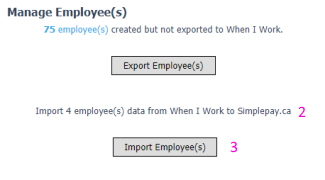 You can import timesheet data for employees imported from When I Work. Under Manage Employees panel, number of employees created in SimplePay will be listed which are not exported to When I Work. Press Export Employees button to export Employees to When I Work. Load When I Work page in SimplePay. Press import data button to import timesheets from When I Work. All Hours from When I Work will be imported as Regular Hours. 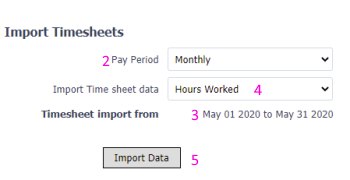 If multiple rates are used within a pay period for an employee, gross amount will be calculated and populated in Gross field in Payroll page.